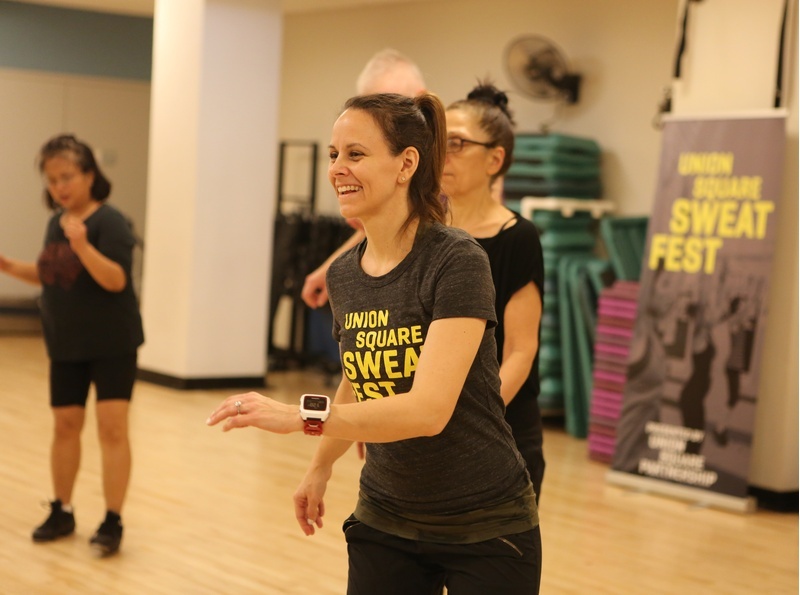 C&G Partners just finished another contribution to our Union Square community, with the third annual Sweat Fest that wrapped up in February. 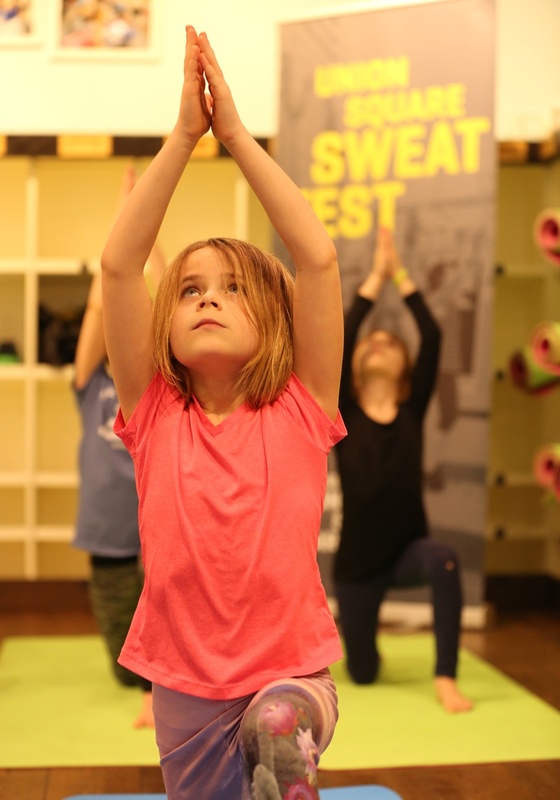 For the third year running, C&G did all the design for this fast-growing, week-long festival, dedicated to our neighborhood's vibrant health and fitness community. 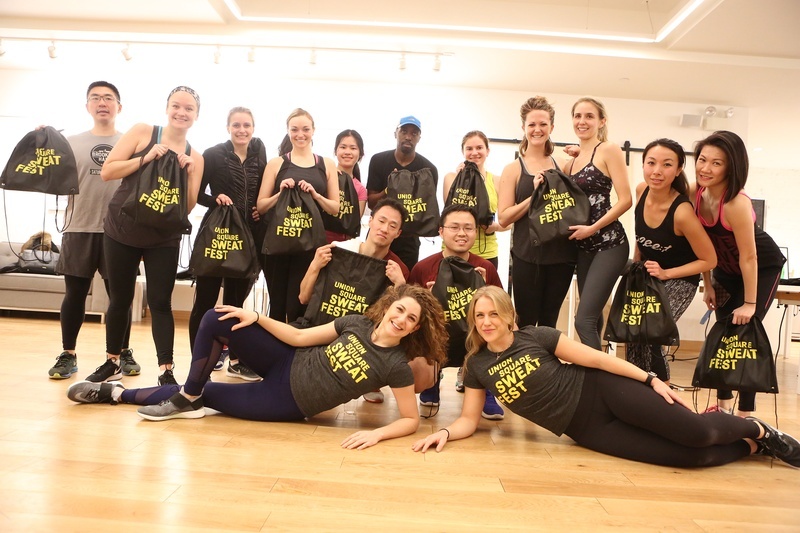 With dozens and dozens of complimentary work-out classes ranging from Vinyasa Yoga to Kung Fu, Sweat Fest 2017 featured large black-and-white images paired with bold typography in vibrant colors. The campaign was designed to grab attention on both Instagram and athletic garb. 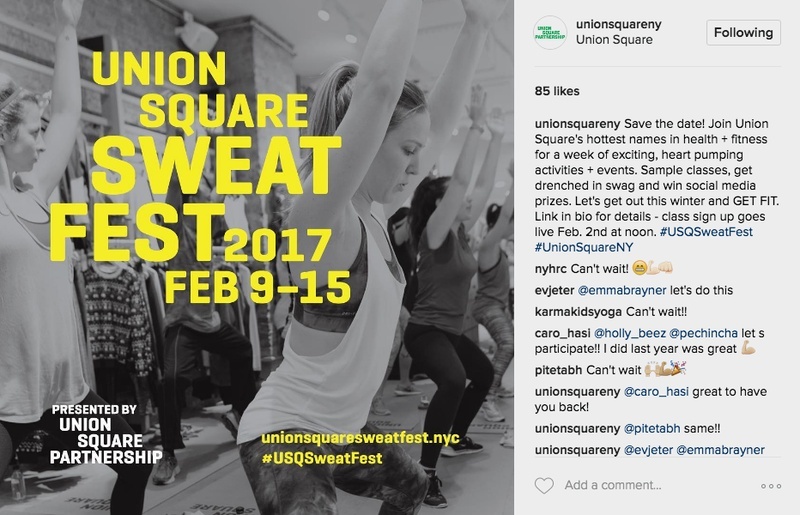 Deliberately extending Union Square Partnership's brand identity—designed by C&G Partners two years ago—the Sweat Fest 2017 brand incorporates staggered text as a dynamic, user-customizable element. 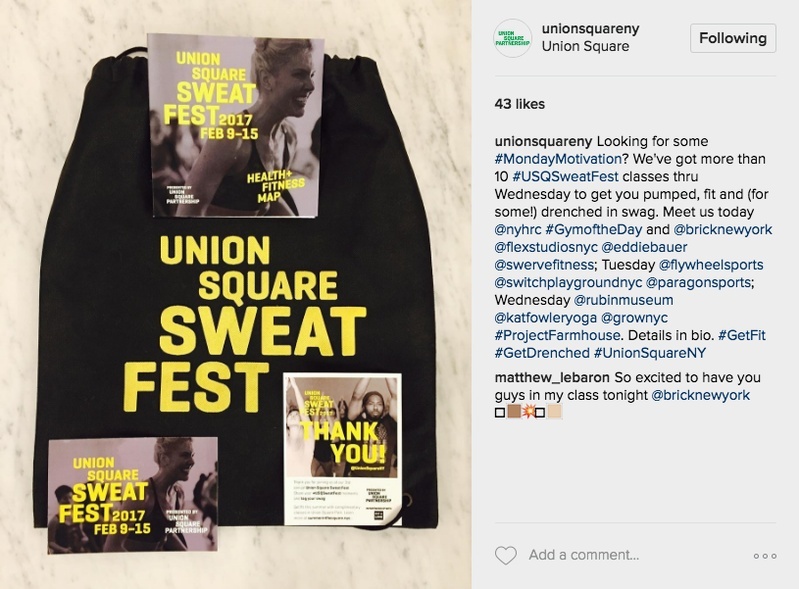 Like the whole Union Square brand family, the Sweat Fest brand is set in Geogrotesque by Eduardo Manso at Emtype. The result is an impactful, consistent visual language that continues to establish Union Square as a branded place.